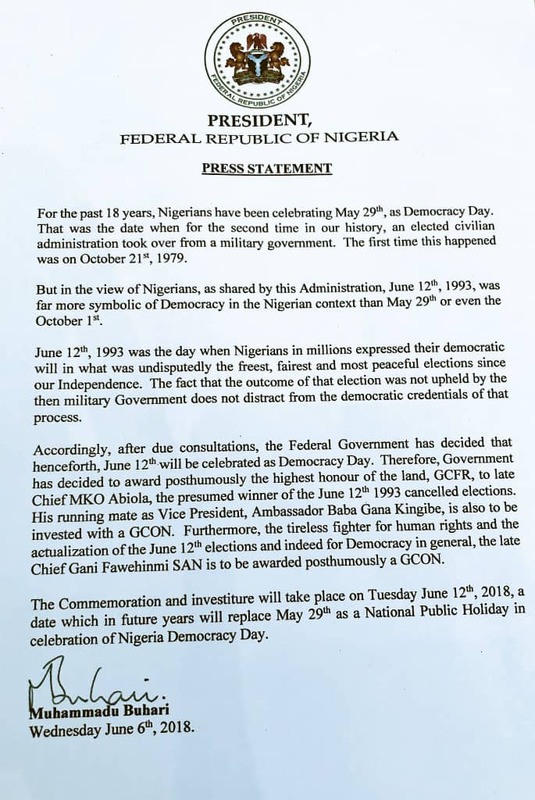 I’d planned to write this article last week, but the egregiousness of the grammatical transgressions in President Muhammadu Buhari’s Democracy Day speech was too much to ignore. 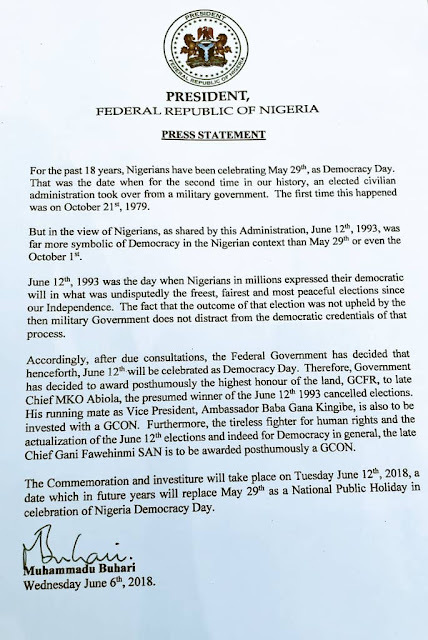 I was almost derailed again by the mortifying grammatical howlers in the president’s June 6 press statement that, among other things, announced June 12 as Nigeria’s new Democracy Day. From indiscriminate capitalization, to incompetent use of articles, to inelegant, error-ridden phraseology, to misuse of words such as “distract” for “detract,” and basic proofreading errors, the letter was disappointingly subpar. It would get an “F” if a WAEC examiner in English were to grade it. We wail with distress and in national self-pity every year over mass failure in English in school certificate exams, but our president’s official speeches and letters can’t pass muster with WAEC examiners in English. What message does that send to our secondary school students? Well, that’s not my preoccupation for now. As I pointed out two weeks ago, interlingual translation is not always possible in every circumstance. There are words and expressions that are so culturally specific that they can’t be translated into another language. I made this point two weeks ago—and in previous columns— in response to requests from some readers of this column that I share with them the English rendition of barka da shan ruwa, the special Hausa greeting to acknowledge the Ramadan fast. I said the expression has no English equivalent. See below other Nigerian expressions that can’t be idiomatically translated into English. 1. “Santi.” This Hausa word deceptively looks like the lexical equivalent of the English “satiation” or, more specifically, gastronomic satiation, that is, the joy and gratification that one derives from food. But “santi” way more than that. It also encapsulates a whole gamut of attitudes that gastronomic satiation inspires. For instance, if, as a consequence of the satiation people derive from eating good food, they wax lyrical or just become uncharacteristically talkative, they are said to be trapped by or in santi. The closest equivalent to “santi” that I have found in American English is the expression “sugar high,” which is said when children become hyperactive as a result of eating sugary things. There is no scientific basis for the notion that children become inexorably restless when they eat sweets, but the expression exists to describe that condition. Note, though, that santi isn’t delimited by age nor is hyperactivity its marker. It isn’t only English that has no lexical or idiomatic equivalent to the Hausa santi; many Nigerian languages also don’t. My Baatonum language doesn’t, either. 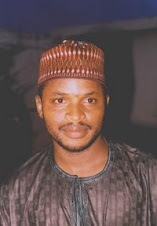 I first encountered the expression in the early 1990s from my cousins in Kano, who were born and raised there. People who have never lived in Hausa society would probably still find the word and its meaning puzzling. 2.”Gyara.” The closest American linguistic and cultural approximation to “gyara” (which is rendered as “jara” in certain variants of Nigerian Pidgin English) can be found in the word “lagniappe” (pronounced LAN- YAP), which my dictionary defines as “A small gift (especially one given by a merchant to a customer who makes a purchase. ).” That is precisely what “gyara” means in Hausa. Lagniappe isn’t a Standard English word, and most Americans don’t know what it means, nor can they relate to it meaning. In my December 4, 2010 column titled “Neologisms and Ebonics in American English,” I wrote the following: “The word ‘lagniappe,’ for instance, is an exclusively Louisiana invention, even though it is now usual to hear many people in the [American] South use it…. “It means ‘a small gift, especially one given by a merchant to a customer who makes a purchase.’ But this definition does not adequately capture the cultural meaning of the word. Its exact socio-linguistic equivalent is “gyara” in Hausa (now incorporated into Nigerian Pidgin English as jaara). As I’ve written here many times, in native varieties of English, “well done” either functions as an adjective to describe thoroughly cooked food or meat (Example: That piece of meat is tough because it is not well done), or as an exclamation of applause— synonymous with "bravo." It is also used as an adjective to describe something that has been done well (e.g. "Thank you for a job well done"). It is never used as a special form of salutation for people who are working. An American friend of mine who is faintly familiar with Nigerian English once asked me why Nigerians reserve a special form of salutation to acknowledge people who are doing something. My response was that it is analogous to the greetings reserved for special times of the day in the English language. We say “good morning” when we meet people in the early hours of the day and say “good afternoon” when we meet them during the midpoint of the day, etc. There may really be nothing “good” about the time we greet them. Heck, we even say “good morning” or “good evening” or “good day,” etc. to people on their sick beds! Nigerians use and understand “well done” in the same socio-linguistic context. The people we say “well done” to in Nigerian English don’t need to be doing anything well; they just need to be doing something. 4. “Sorry!” This is another direct translation from Nigerian languages, which makes no sense in Standard English. Nigerian English has extended this word’s original native English meaning. The word’s dictionary meaning is that it is an exclamation to indicate an apology or to ask an interlocutor to repeat or clarify something you don’t understand during a conversation. In Nigerian English, however, it is used as an exclamation not just to express apology but to express concern or sympathy for a person who has had a freak accident (such as when someone skips a step and falls) or a person who has suffered a personal tragedy (such as when a person loses a loved one). Nigerians say “sorry” whether or not they are personally responsible for the accident or the misfortune of the person to whom they say “sorry.” This usage of the word, which is completely absent in native varieties of English, is an approximation of such expressions as “sannu fa” in Hausa, “pele” in Yoruba, “ndo” in Igbo, “kpure kpure” in Baatonum, etc. The closest that native English speakers come to saying “sorry” in ways Nigerians say it is when they say something like “I’m sorry to hear that (you lost your dad! )” to a person who is bereaved, etc. But note that “sorry” in this context is synonymous with “sad,” not to “sannu” or “pele” or “ndo,” etc. in native Nigerian languages. The real linguistic equivalents in native varieties of English to the Nigerian English usage of “sorry” seem very distant and lacking in empathy and warmth. In America, for instance, if someone misses a step, falls on the ground and breaks an ankle, the usual expression to show concern would be to say something like “Oh my God, are you OK?” I wish someone would tell them: “Of course, I am NOT OK! Can’t you see I’m bleeding and have a broken ankle?” As Elizabeth Pryse, author of the hugely popular English without Tears, once noted, the expressions that native English speakers use to show concern for other people’s personal tragedies and misfortunes come across to Nigerians as unfeeling, cold, and detached. Most Nigerians feel offended when native English speakers say “take care,” “watch out,” “are you all right?” etc. when they have freak accidents.